Lebanon began the process of removing all political banners from the streets of the country’s major cities Thursday in response to rising sectarianism, the Daily Star in Lebanon reported. 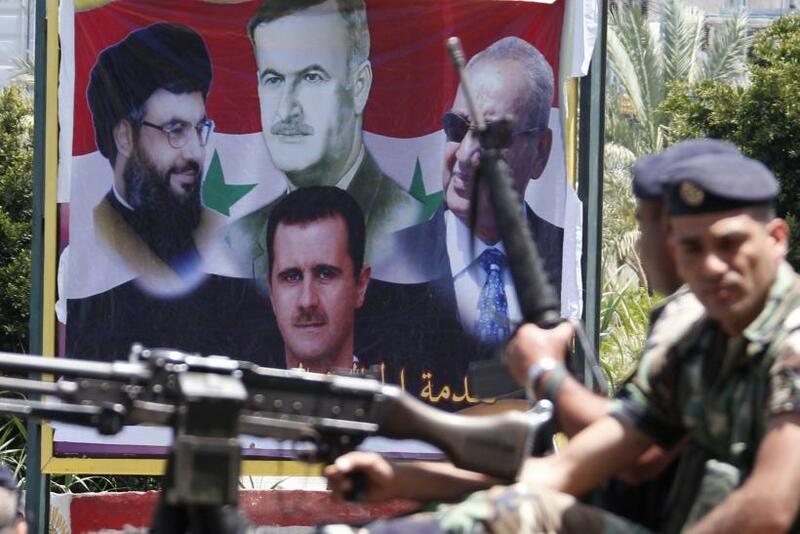 The move was made as the result of an agreement between rival political factions, Hezbollah and the Future Movement, to help defuse escalating tensions that have peaked in the nation amid the ongoing crisis in neighboring Syria and recent skirmishes along the Israeli border. “We hope it is one step in the right direction, since political banners contribute to fueling tensions, and we had agreed with Hezbollah to defuse tensions as part of the dialogue,” Ammar Houri, a Future Movement leader, said in a radio interview, according to the Daily Star. Beirut Gov. Ziad Chebib and other political figures supervised the removal of signs in various districts of Lebanon’s capital city. A similar campaign was carried out in the northern city of Tripoli, which lately has been rife with sectarian tensions. Despite Chebib’s assurances that all regions of the city would be targeted by the cleanup operation “without exception,” Beirut’s southern Hezbollah stronghold, known as the Dahiyah, will remain untouched by the effort due to an exemption, the United Arab Emirates-based Gulf News reported. The Shiite political faction, one of Lebanon’s strongest because of its powerful Iranian-backed militia, has sparked tensions in the country over its recent border clashes with Israel after the Jan. 18 Israeli attack that left six Hezbollah members dead. The violence has stoked fears of a larger war between the two countries, the Washington Post said. A recent fiery speech by Hezbollah leader Hassan Nasrallah, who threatened to respond to any Israeli attack, caused significant domestic political consternation in Lebanon, with rival politicians warning that his remarks could jeopardize the United Nations resolution that ended the 34-day war with Israel in 2006, the Lebanese news site Ya Libnan said. A dialogue meeting was held Tuesday between Hezbollah and representatives of the Sunni-dominated Future Movement, which produced proposals to remove political banners from the streets and to ban the celebratory gunfire that has become common on the occasion of Nasrallah’s speeches. A similar move to ban political banners was attempted back in 2008 under the government of Prime Minister Saad Hariri, Al Jazeera reported. Party flags and posters have long been ubiquitous on the streets of Beirut and other Lebanese cities, representing the underlying divisions between Lebanon’s various sectarian communities.